Fit Food cooking classes are designed to teach you how to cook as fast and delicious as a chef; but as healthy as a personal trainer. 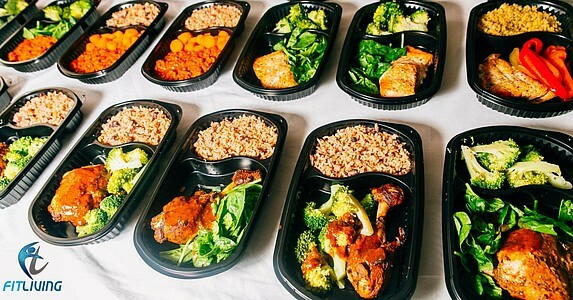 Each participant will leave with 15-20 servings of extremely healthy and delicious meals. Healthy eating can be easy and we teach you step by step how to do it efficiently and make your cooking life easier. Some of the tips you will learn include: how to multitask your cooking, how to use a knife and work a kitchen like a chef, what foods to eat, what to look for on a food label, and much more. A typical class involves picking 3 dishes, cooking these dishes as a group, learning about the meal, and then portioning each serving. These classes can be held at your house or at the Fit Food kitchen. A great idea for a splurge group, wedding party, or just a group of friends wanting to learn more about food. A class runs about 3 hours and is a ton of fun! Every participant pays $75 and must supply their own protein (i.e chicken, fish etc.) and the rest will be supplied by us!